If you're arriving or departing from London City Airport, Gatwick, or Heathrow, simply give us a call to schedule service. 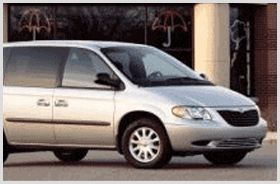 The most popular mini van options from ATS include models such as Mercedes-Benz V-Class, Previa, and Voyager. Get cozy, you're in for a great ride-get a free quote on chauffeured mini van service to Heathrow, Gatwick, or Stansted with Airport Transfer Service!